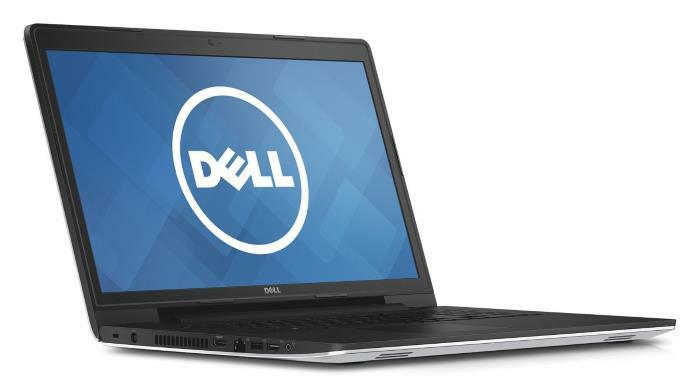 The Dell Inspiron 17 5000 5749 is a prime example of a 17.3-inch mainstream consumer notebook. Alongside the big screen with either 1600×900 or Full HD 1920×1080 resolution, the Inspiron 5749 sports the brand new processors by Intel. Namely, the Intel Pentium 3805U and 5th Generation Intel Core i3-5005U, i5-5200U, and i7-5500U, all from the latest Broadwell CPU family. These chips have replaced their Haswell counterparts in the previous Inspiron 5748 model. Broadwell brings several improvements over Haswell, primarily a better performance per Watt ratio. The Pentium 3805U option is an entry-level one and offers satisfactory performance for the basic tasks while making configurations using it affordable. The i3-5005U is somewhat faster and is adequate for most folks, while the i5-5200U and i7-5500U are for those who frequently do computationally intensive tasks like photo and video editing. The Intel HD 5500 graphics integrated in the i3, i5, and i7 is superior in comparison to the Intel HD found on the Pentium. However, the HD 5500 is just another integrated GPU, without much muscle for playing the latest games with high detail settings. For somewhat better gaming experience, customers can opt for the Nvidia GeForce 820M or 840M discrete video cards, both with 2GB of video memory. 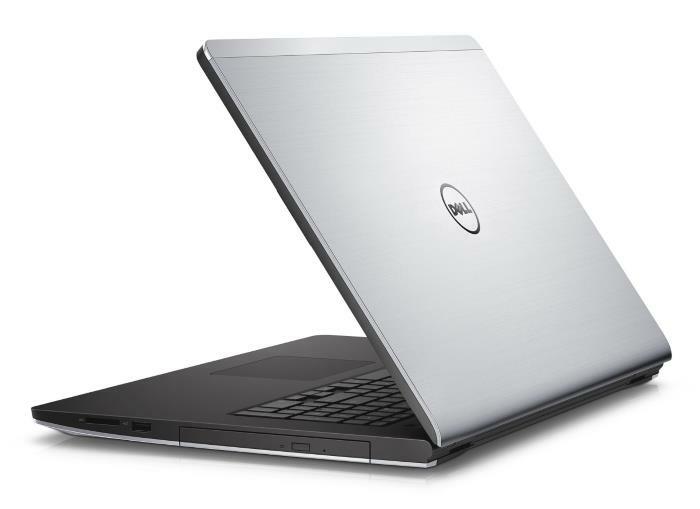 Dell’s Inspiron 17 5000 5749 is outfitted with either 4GB of system memory and a 500GB hard drive or 8GB RAM and 1TB HDD. These components are user-replaceable, but there is only one memory slot, so you can’t have more than 8GB of RAM. A DVD drive is present on this notebook, as same as 2 x 2W stereo speakers, and a 720p web camera. Data input and interaction with Windows OS and software is enabled via the laptop’s spacious keyboard with numeric pad, multi-touch trackpad, and optionally touchscreen. The keyboard, with spill resistance and optional backlight, and trackpad are embedded in a matte black deck made of plastics. On the other hand, the lid is done up in brushed aluminum. Depending on whether the notebook has touchscreen or not, the weight and height are either 7.3 and 1.2 inch or 6.6 pounds and 1.1″. Selection of connectivity features includes Wi-Fi wireless network support, Ethernet LAN wired networking, Bluetooth, HDMI output, audio jack, and a multi-in-one media card reader. Power autonomy is provided by a 4-cell battery which has a low capacity for a big-screen laptop. It’s 40 WHr and there is no info on exact battery life. With a basic price of $450 and cost-effective upgrade options, the Dell Inspiron 17 5000 5749 delivers enough value for your money. Especially for those who like to work and play on a large laptop screen and don’t mind having a bit bulky notebook. 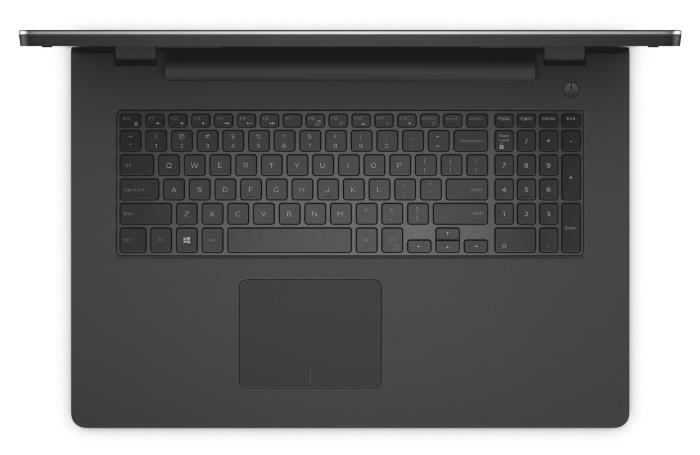 For a greater portability, you can check out the smaller Inspiron 5000 5548 with a 15.6-inch display, the same design as its bigger brother, and similar component options.